The Berthier family were the founders and are still the present owners of the Oasis.It gives them great pleasure to celebrate its 100th anniversary in the year 2000. Originally a small inn, it has been renovated and extended over the years while still keeping its traditional and familial charm. 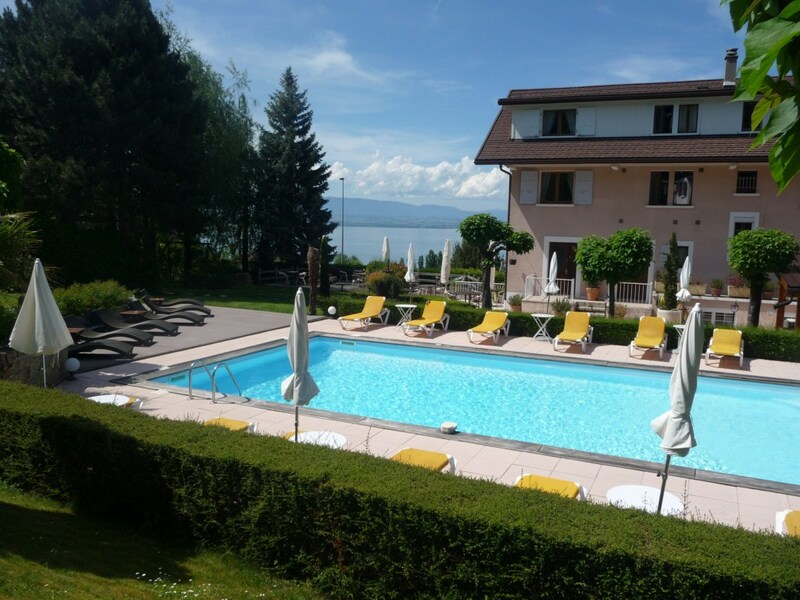 The Oasis Hotel is situated in a peaceful area of Evian (which is near to the swiss towns of Geneva and Lausanne) with a panoramic view of Léman lake . The Genotherapy centre (thermal spa) is within easy reach via the local bus. Buffet breakfast is served every day at the breakfast room or in terrace outside view LAKE for a supplement. The Oasis Hotel is a family hotel with a human atmosphere : 16 rooms including 3 Suite , Bar, Pool and garden. Lake view. Its three key words that we want to join : Quality service, Elegance and Serenity. 5 minutes walking distance from Evian town center ( Restaurant, shops, Casino) and the leman lake. 2 minutes by car from the évian golf, 18 holes. Evian, already renowned for its water, became well known for its spars at the beginning of the 20th century. Today, Evian proposes possibilities other than the traditional therapy of back and rheumatism treatment. These include “get in shape” holidays, Evian liberté weekends with spar/hotel combinations, and the more recent Mother/baby formula to cater for family requests.